Paarl property offers you the convenience of city amenities within 50 minutes of Cape Town International airport, 45 minutes from Cape Town's CBD & 45 minutes from the Strand or Blouberg beaches. Paarl is a town with oak-lined streets and vineyards. Many of the historic buildings currently house art galleries, restaurants, shops, guest houses and hotels. The 12km-long Main Road, the longest in the country, host some of the most superb examples of Cape Dutch, Victorian, Edwardian, Georgian and Art Deco architecture. Paarl has a regional shopping centre, a variety of sports facilities including 2 golf courses (Boschenmeer & Pearl Valley) , a choice of some of the best secondary and primary schools in the country, top medical facilities (Paarl Medi-Clinic, Paarl Med24 and a revamped Paarl Provincial Hospital) with all national financial & commercial institutions represented. Paarl accommodates the Headquarters of the South African wine industry, the Co-operative Wine Grower's Association, better known as the KWV. The Paarl Wine Route in the country includes some of the best wine producers in the world - including Nederburg and Fairview. A growing corporate presence in the town and a lack of residential land due to the encircling vineyards of the historically "dominating" wine industry, has made Paarl a sought after property market. Pearl Valley Golf Estate is at present also one of the twenty most expensive suburbs in South Africa. Paarl property varies between entry level bachelor apartments of +- R450 000 to houses up to R19,9 million. The biggest property growth points during the last 6 years has been the big choice of new estate developments catering for secure and up market living. Val de Vie Wine and Polo Estate, Pearl Valley Golf Estate, Winelands Estate, Sante Wine Estate, Boschenmeer Golf Estate and Klein Paryskloof are some of the prestigious country estates. 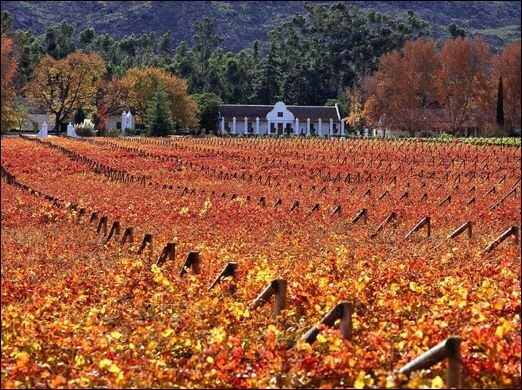 Paarl small holdings and wine farms are amongst the most expensive properties in South Africa. Paarl offers a variety of lifestyle choices - with activities as diverse as exploring the wine-, cheese- , brandy- and culinary routes. Paarl is also within 45 minutes of all the popular events and festivals hosted and places of interest in the Cape Town Metropolitan, Helderberg & Stellenbosch.